Excited for leggings and boot weather? Be the first to check out fall styles at Plato’s Closet of Paoli! 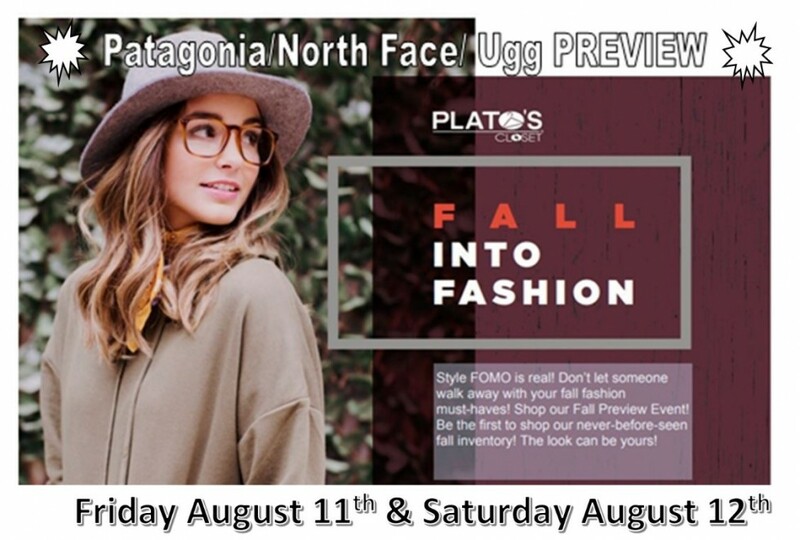 Don’t miss the Patagonia/ North Face/ Ugg Preview on Friday, August 11 and Saturday, August 12. You will be among the first to see our new fall inventory and you can have dibs on new styles for autumn.